Have you ever thought to yourself, "I really wish there was a more delicious option for fitness foods"? Guess what? There is! I have first hand experience with disgusting fitness food. When I was on my first weight loss journey after having my son, I forced down a lot of disgusting protein drinks. Granted, there were many times when I wasn't getting enough protein in my diet and still refused to drink those things. 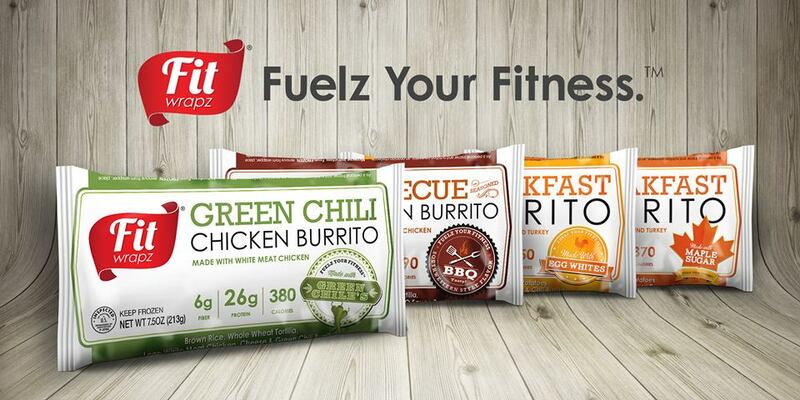 This is why I was a little apprehensive about trying these burritos from Fit Wrapz. Look, I love me some burritos. Maybe a little bit too much, which is why I start on my Nutrisystem journey after the new year, but if food doesn't taste good, I don't care what it does for me. Fit Wrapz, however, are actually really delicious and they come in 4 flavors; 2 breakfast burritos and 2 chicken burritos. The first burrito I tried was the green chili chicken one and since I was unsure about it, I put a ton of hot sauce and sour cream on it. Yeah, yeah, I realize that almost defeats the purpose of eating healthy, working out, and trying to build muscle. I get it. But like I said, I need it to taste good, too! The verdict is that it was actually quite tasty. I don't think it needed the sour cream or the hot sauce and it wasn't even spicy, which I assumed (and sort of hoped as I'm a chili head) it was going to be. It filled me up rather quickly for it being under 500 calories. Show me a burrito that's under 500 calories and still tastes good. Can't do it, can ya? The photo above is the barbecue chicken flavor and this time, the hot sauce actually complimented it quite nicely. I may have went a little overboard with it. Remember trying to eat healthy? It was very delicious, though. Speaking honestly, they didn't look that appealing and I am so glad that they didn't taste as bad as they looked. If you are a fitness nut and need something to fill you up and give you the nutrients you need in your diet, without sacrificing taste, Fit Wrapz is it!